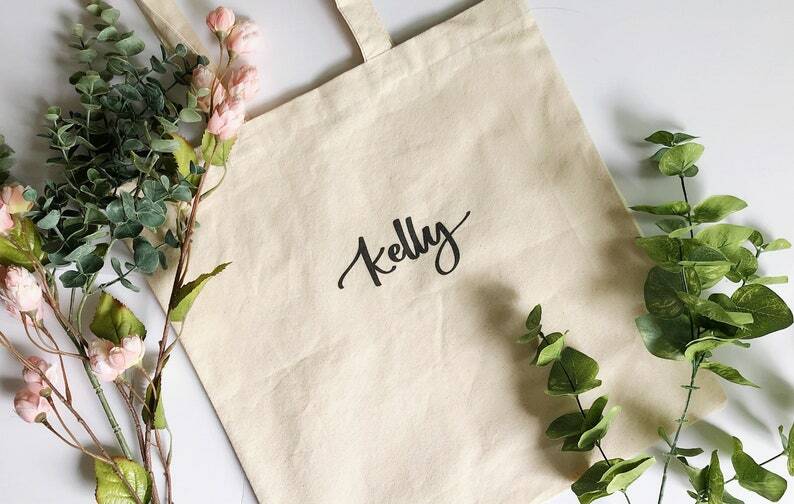 Personalize your gifts this year for your loved ones with this lightweight cotton canvas tote! Perfect as a gift for your bridesmaids on your big day or as a fun gift for the book lovers and teacher friends in your life. Each tote is made from a lightweight, but durable, cotton canvas and features handlettered script - sure to delight any recipient! These tote bags are perfect for a day around town, to hold items during a big event like a wedding, or to use as a purse alternative! + Total Size: 14 1/2" x 15 1/2"
Each name is handlettered by me, not font print! 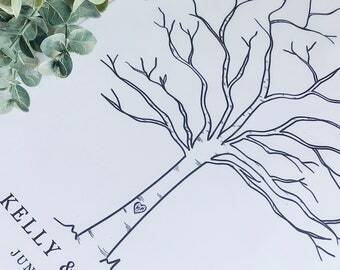 This makes your gift truly special and handmade. Also, there is no vinyl! Tote text is 100% printed straight onto your tote! + In the 'notes to seller' section at checkout, please provide the names you would like lettered onto each tote bag. Choose between ordering individual bags or bundling your orders of 5 or 10 bags! Need more? Message me and let's chat! 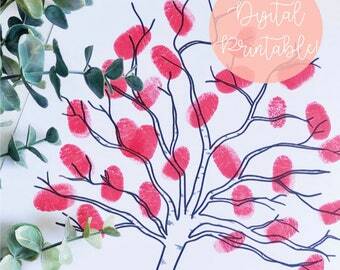 + Please allow 1-2 days for lettering and 3-5 days for printing and shipping. Due to the custom nature of this product, each tote is made to order. + I recommend placing your order at least 1-2 weeks prior to your event date to ensure on-time shipment. + Hand wash and dry all tote bags. Please make sure to include the names you want written on each bag in the "notes" section when you place your order. Please double check your spelling before submitting the information because I will copy exactly what you send. I am not responsible for misspelled words submitted by the buyer.